Administrative Law Judge (ALJ) Alexa J. Hohensee, Office of Administrative Hearings (OAH), heard this matter in Compton, California on August 27, 28, 29 and 30, 2012, and on September 5 and 10, 2012. Attorney Leejanice Toback, represented Student. Sue Redman, Student’s court appointed special advocate (CASA) and educational rights holder, was also present on behalf of Student. Attorney Daniel L. Gonzalez, represented the Compton Unified School District (District). Zakiyyah McWilliams, program administrator for District, was present on behalf of District on all days of hearing, with the exception of the afternoon of August 28, 2012, when Jennifer O’Malley, program administrator, was present on behalf of District. On June 1, 2012, Student filed a request for due process hearing (complaint). The matter was continued on July 9, 2012. Oral and documentary evidence were received at the hearing. At the close of the hearing, the ALJ granted the parties’ request for a continuance to file written closing arguments by October 24, 2012. On that day, the briefs were timely filed, the record was closed, and the matter was submitted. Not finding her eligible for special education at the September 22, 2010 IEP team meeting? 2 The Dependency Court appointed the head of household at the foster home, and then her adult daughter, as Student’s foster parents. This change did not require Student to relocate, and references to “Foster Parent” are to the then-current foster parent . 1. Student is a 15-year-old young woman who has lived with her foster parents within the boundaries of District at all relevant times. 2. Student is a foster child and dependent of the Los Angeles County Juvenile Dependency Court (Dependency Court). Student was removed from the care of her biological mother (Mother) and placed in several different foster homes before being placed in her current foster home within District boundaries in January 2010. 2 Student was provided a stable home environment, and Student felt happy and safe there. 3. Sue Redman was appointed Student’s CASA by the Dependency Court in December 2010. Student’s Mother held Student’s educational rights until approximately August 2011, when those rights were transferred to Ms. Redman by the Dependency Court. Ms. Redman is the current holder of Student’s educational rights, as well as Student’s CASA. 4. In June 2009, as Student finished sixth grade in another school district, the Dependency Court ordered a psychological evaluation of Student in response to concerns that Student had a learning problem. Dr. Rita Collins-Faulkner, a clinical psychologist, performed the evaluation by administering the Wechsler Intelligence Scale for Children-IV (WISC-IV), the Wechsler Individual Achievement Test-II (WIAT-II), and various tests of visual perceptual and social/emotional functioning. Dr. Collins-Faulkner did not testify at hearing. 5. According to this report, Student had a full scale IQ standard score of 66, below average processing speed, and was significantly below grade level in reading (grade equivalent of 3.5) and mathematics (grade equivalent of 3.3). Dr. Collins-Faulkner diagnosed Student with a depressive disorder and a learning disorder, with a provisional diagnosis of mild mental retardation. The report did not reference Student having a lisp or articulation difficulties. 6. Student transferred to District in January of 2010, during the 2009-2010 school year. Student attended seventh grade general education classes and a math intervention class at Enterprise Middle School (Enterprise). At the end of the first semester, she received grades of “D-” in Intervention Math, “C” in English 7, “D” in Pre-Algebra, “D” in Life Science and “F” in World History. 7. Around April 2010, Mother, who then held Student’s educational rights, requested that District assess Student for special education eligibility. 8. District school psychologist Rafael Cardenas, who testified at the hearing, performed the initial psychoeducational assessment of Student over four days in May and June 2010. Mr. Cardenas has a bachelor’s degree in sociology, a master’s of science degree in counseling, and holds a pupil personnel services credential in school psychology. He has been a school psychologist for 12 years, and performs 50-60 psychoeducational assessments per year. Mr. Cardenas’s training, credentials and education made him well qualified to administer assessments and make recommendations regarding special education eligibility. 9. Mr. Cardenas reviewed Dr. Collins-Faulkner’s report, Student’s developmental history (which was unremarkable), cumulative school records, and work samples. He observed Student during her remedial math class, where Student worked quietly, and appeared on task and attentive, although he did not look at her written work to see if it was completed correctly. 10. To assess Student’s intellectual ability, Mr. Cardenas administered the Naglieri Nonverbal Ability Test – Individual Administration (NNAT-IA) and the Differential Ability Scales – Second Edition (DAS-2) 3 , on which Student obtained a standard score of 77 for nonverbal cognitive ability, which was in the borderline range, and a standard score of 81 for verbal ability, in the low average range. 11. The NNAT-IA provided a measure of Student’s general ability using nonverbal content, and the DAS-2 measured acquired verbal knowledge, verbal conceptualization and Student’s general knowledge base. Mr. Cardenas estimated Student’s cognitive functioning skills to be in the “low average” to “borderline” range, and opined that the scores on the prior cognitive testing by Dr. Collins-Faulkner had been lower because the WISC-IV she administered underestimates the cognitive abilities of non-Caucasians. Mr. Cardenas’s testimony regarding Student’s cognitive abilities was credible based on his credentials and experience, and was corroborated by similar scores of cognitive ability obtained by Dr. Abbe Barron in 2012, which are discussed below. 12. Enterprise’s resource specialist, Efuru Asadullah, who testified at hearing, administered Student the Woodcock-Johnson Tests of Achievement, Third Edition (WJ-III), the results of which were incorporated into Mr. Cardenas’s report. Ms. Asadullah has a bachelor’s degree in African American Studies, and has one class remaining to obtain her master’s degree in Special Education. She holds a California education specialist credential, has taught for over five years in special education, and has been trained in administration of the WJ-III and administered it 40 to 50 times. Ms. Asadullah’s training, credentials and education made her well qualified to administer the WJ-III and interpret its results. 13. Ms. Asadullah’s administration of the WJ-III yielded the following standard scores/grade equivalents on the reported subtests of the WJ-III, some of which are designated “cluster,” or overall, skill measures: Letter-Word Identification-83/4.5, Reading Fluency80/4.4, Passage Comprehension-77/3.2, Calculation-68/3.8, Math Fluency-75/3.9, Applied Problems-72/3.0, Spelling-81/4.1, Writing Fluency-96/7.0, Writing Samples-96/6.7, Broad Reading (Cluster)-79/4.1, Broad Math(Cluster)-65/3.4, Broad Written Language (Cluster)88/5.6. Student’s math and reading skills were generally at the third and fourth grade level. Student could do simple single-digit addition and subtraction, but was unable to add, subtract, multiply or do fractions, and was unable to multiply or divide multi-digit numbers, multiply positive and negative integers, or solve a two-step equation. Student also did not comprehend the term “half.” Ms. Asadullah did not consider it atypical within District for a seventh grader to perform at a third grade level in mathematics and reading comprehension. 14. Mr. Cardenas admitted at hearing that Student’s WJ-III math scores indicated that Student lacked the capacity to function at a seventh grade level in math, but he did not mention that in his report. Instead, he incorporated Student’s scores from the Spring 2010 administration of the California Standards Tests (CST), on which Student inexplicably received an “advanced” score in (sixth grade) Math, as well as a “proficient” score in (sixth grade) English Language Arts, without noting the discrepancy between these scores and the WJ-III results. 15. Mr. Cardenas measured Student’s psychological processing skills by administering the Test of Auditory Processing Skills -Third Edition (TAPS-3), the Test of Visual Perceptual Skills – Third Edition (TVPS-3) and the Beery-Buktenica Developmental Test of Visual-Motor Integration (Beery VMI). Student obtained standard scores on these tests of 75, 74, and 75, respectively, all of which were in the “low” range. 16. Mr. Cardenas learned from Student’s English teacher, Ms. Horejsi, that Student struggled greatly with inference and written directions, had very low comprehension, wrote in simple sentences, made little effort to “repair” her understanding, would speed through reading at the cost of comprehension, could perform when pushed, had a poor attitude, rarely brought materials to class, did not complete homework, refused tutoring opportunities, would not become engaged unless pushed, viewed school as a place to connect with her friends rather than as a place to learn, argued back, “zone[d] out,” had a habit of yelling to friends across the room, was a “ringleader,” disrupted peers and worked best when separated from others. Steve Reichlin, Student’s math intervention teacher, reported that Student’s work was “on par or slightly above” her peers in reading word problems, but that Student was defiant, confrontational and “chooses not to engage” in the classroom. 17. Mr. Cardenas evaluated Student’s social/emotional skills by interviewing Mother, and by having Foster Parent and Mr. Reichlin complete the Burks’ Behavior Rating Scales – Second Edition (BBRS-2). The BBRS-2 rates behavior problems or patterns of problem behavior. Mr. Cardenas was aware that Student was receiving individual counseling, but did not speak with the therapist, or inquire into the reason for counseling. Mother reported that Student demonstrated adequate social-adaptive behavior at home and with her friends. Foster Parent did not rate any areas in the BBRS-2 as of concern. Mr. Reichlin rated the following areas of “elevated” concern for Student: ability deficits, academic difficulties, social isolation, social withdrawal, attention and impulse control problems, attention deficits, impulsivity, disruptive behavior, poor anger control, distrustfulness, aggressive tendencies, rebelliousness, and poor social conformity. Scores in the elevated range of the BBRS-2 identify problems that may be severe enough to require formal treatment. The BBRS-2 scoring program flagged Mr. Reichlin’s responses as excessively negative and to be viewed with caution, but as Foster Parent had reported no problems and Student did not have a discipline record, Mr. Cardenas chose not to follow-up with Mr. Reichlin or to conduct further testing on Student’s attention or classroom behavior. 18. Mr. Reichlin, a seven year math and math intervention teacher, who testified at hearing, exhibited good recall of Student and her behaviors, and testified credibly and persuasively regarding Student’s statements and actions in support of his responses to the BBRS-2. In addition, he did not have difficulty understanding Student’s speech, did not notice that Student had any problems communicating with her peers, and testified that Student’s frequent talking with friends in class had interfered with her classwork. 19. Mr. Cardenas observed Student had a mild lisp, but was able to adequately express her ideas through answers and conversation, and concluded that Student’s expressive and receptive skills were adequate for interpersonal conversational needs, and to understand instructions and questions. No referral was made for further speech or language evaluation. 20. Mr. Cardenas concluded that Student’s academic performance was varied, due to “average” scores in written expression, “low average” scores in reading, and “very low” scores in mathematics skills. He reported that Student’s academic achievement scores were consistent with her “low average” to “borderline” cognitive ability and “low” psychological processing scores. Mr. Cardenas concluded that no significant discrepancy existed between Student’s estimated cognitive ability and her academic achievement for purposes of special education eligibility in the category of specific learning disability (SLD). No other possible eligibility category was referenced in Mr. Cardenas’s report. 22. Although Mr. Cardenas testified credibly concerning the tests completed, and candidly admitted that Student’s 2010 CST “advanced” score in Math did not accurately reflect Student’s mathematical achievement, his opinion that his assessment was complete in light of the information known to District at that time was not persuasive. Mr. Cardenas did not convincingly explain his failure to inquire as to the reason Student was undergoing counseling, his failure to point out or address in his report the discrepancy between Student’s “advanced” CST result and her “borderline” mathematics scores on the WJ-III, or his reliance upon a non-classroom report by a new foster parent to justify lack of follow up on year-long classroom behaviors reported by Ms. Horejsi and Mr. Reichlin. Mr. Cardenas also did not convincingly explain his failure to follow up with Mr. Reichlin to determine if Mr. Reichlin’s BBRS-2 responses were accurate or exaggerated, his failure to consider whether Student had attention deficit hyperactivity disorder (ADHD), or his failure to consider multiple possible categories of special education eligibility. Mr. Cardenas’s opinion, at hearing and reflected in his report, that Student experienced “frequent disruptions in school placements thereby creating limited opportunities to develop and consistently practice” academic skills, was not supported by the school records in evidence or his own inquiry, and constituted unsupported speculation. Mr. Cardenas’s testimony that his assessment was complete was also undermined by his admission at hearing that the behavior reported by Student’s teachers, such as inability to attend, failing school work despite ability, not following through, reluctance to engage, difficulty organizing tasks, losing materials, failing to bring materials to class, and being easily distracted, could all be signs of ADHD, although no assessment for ADHD was done, and the teacher reports and BBRS-2 responses identifying Student as exhibiting such behavior and attention problems were totally disregarded. 23. Student finished the 2009-2010 school year with grades of “D” in Intervention Math, “F” in English 7, “D” in Pre-Algebra, “F” in Life Science and “F” in World History. District promoted Student to eighth grade. 24. During the 2010-2011 school year, Student attended general education eighth grade classes at Enterprise. Her academic classes included Algebra 1, Science, English 8, Literature and U.S. Heritage. 25. On September 22, 2010, District held an IEP team meeting to review the results of Mr. Cardenas’s psychoeducational evaluation. The meeting was attended by Student, biological Mother, Student’s social worker, school psychologist Brad Keller, special education teacher Ms. Asadullah, two general education teachers, and an administrative designee. 26. Mr. Keller, who had reviewed the psychoeducational report with Mr. Cardenas, presented Mr. Cardenas’s report. Ms. Asadullah presented the results of the WJ-III. One of Student’s teachers, Mr. Gutierrez, reported to the team that “Student is slow to begin assignments and is often distracted easily,” and Student told the team that she would “try harder to focus in class” and do her homework. Despite the report that Student performed in math and reading comprehension at the third and fourth grade level, the team found that Student did not need an alternate curriculum for her eighth grade classes, and recommended that student’s social worker see if she could “get student an outside tutor to come to the home to help” Student. 27. The September 22, 2010 IEP team found Student ineligible for special education as a student with a specific learning disability, the only eligibility category addressed by Mr. Cardenas’s report. Mother signed the IEP, indicating that she agreed with the team’s determination that her child was not eligible for special education. 28. In January 2011, as Student’s newly appointed CASA, Ms. Redman spoke with Enterprise’s school counselor, Ms. Nash, about Student’s poor academic performance. Ms. Nash advised Ms. Redman to have Student take advantage of tutoring offered to all students by the teachers on certain days of the week, during lunch and after school. 29. Student’s grades at the end of the first semester of 2010-2011 included “F” in Algebra I, “C-” in Physical Science, “F” in English 8, “D” in Literature, and “F” in U.S. Heritage. Student was again failing three of her five academic classes. 30. On February 7, 2011, District placed Student on “daily reports” to address Student’s lack of completed homework. These reports required Student to obtain the signature of each teacher verifying Student’s homework for the day and then return the report the next day to the school with her guardian’s signature. No evidence was submitted on whether Student complied with the daily reports procedure. 32. On May 26, 2011, a day before Ms. Redman consented to the assessment plan, Ms. Asadullah administered portions of the WJ-III to Student. The results of this WJ-III contained scoring errors by Ms. Asadullah, but were not incorporated into the psychoeducational assessment of Student or presented to Student’s IEP team. Nonetheless, Ms. Asadullah spent several hours with Student administering the WJ-III in May 2011, and was able to communicate with Student and understand her without difficulty. 33. A second psychoeducational assessment of Student was performed by school psychologist Ana Carrera, who testified at hearing. Ms. Carrera has a master’s of science degree in counseling and psychology, and holds a clear pupil personnel services credential in school counseling and school psychology. She has been employed by District for 15 years, and performs approximately 80 psychoeducational assessments per year. Ms. Carrera’s education, training and credentials made her well qualified to administer assessments and make recommendations regarding special education eligibility. 34. Ms. Carrera reviewed Mr. Cardenas’s report from June 2010, Student’s developmental history, Student’s cumulative school records and work samples. 35. Ms. Carrera administered the DAS-2 to measure Student’s cognitive abilities in the areas of verbal cluster, nonverbal reasoning, spatial, general conceptual ability, and nonverbal composite. Student’s cognitive ability scores were all in the “low” range with standard scores between 72 and 79, except for her spatial standard score of 90, which was in the “average” range. 36. Ms. Carrera administered the Kaufman Test of Educational Achievement–II (KTEA-II) to Student to test Student’s academic skills. Student’s obtained standard scores of 92 in Letter and Word Recognition, 90 in Written Expression, and 90 in Spelling, in the “average” range. Student’s scores of 80 in Reading Comprehension, 71 in Math Concepts and Application and 72 in Math Computation, were in the “below average” range. In addition to recording these scores in her report, Ms. Carrera referenced Student’s 2010 CST scores of “proficient” in English Language Arts and “advanced” in Math. 37. Ms. Carrera administered the TAPS-3, TVPS-3 and Beery VMI to test Student’s psychological processing skills. On the TAPS-3, which tested auditory processing, Student obtained a standard score of 95, which was “average.” On the TVPS, Student obtained a standard score of 83, which was “low average.” On the Beery VMI, Ms. Carrera reported a standard score of 90, in the “average” range; however, at hearing it was shown that Ms. Carrera had incorrectly scored this test, and Student’s actual standard score was 75, in the “borderline” range. 38. Ms. Carrera noted in her report that over four days of testing Student was able to express her needs and communicate, and that Student’s expressive and receptive language appeared to be average. Ms. Carrera concluded that language and communication was not an area of concern for Student. 39. To assess Student’s behavior and attention, Ms. Carrera distributed questionnaires from the Behavior Assessment System for Children – Second Edition (BASC) to Student and Student’s eighth grade teachers. However, it was the end of the school year and no BASC questionnaires were returned by the teachers. Instead, Ms. Carrera relied on school counselor Ms. Nash for information concerning Student’s performance and behavior at Enterprise. Ms. Carrera was unaware that Ms. Nash had only met with Student on three occasions. Ms. Nash reported that Student had been counseled about failing grades, had been placed on daily reports, had no discipline record, and was popular on campus. 40. Ms. Carrera received a generic “teacher report” from Student’s English teacher S. Walker, who did not testify at hearing. S. Walker reported that Student was an average reader, but would refuse to read most of the time, that Student did not write essays and did very little work, that Student did not want to learn and refused to participate, and that Student was very rude and appeared angry. S. Walker wrote “[Student] does not want to try and can be very rude. I can’t tell if she can’t do the work or just doesn’t want to work.” Ms. Carrera did not reference S. Walker’s comments in her assessment report. 41. Ms. Carrera did not complete her assessment before the end of the 2010-2011 school year. 42. Student’s scores on the CST administered in spring 2011 were “far below basic” in all areas tested: English language arts, math, science and history-social science. Ms. Carrera testified that these results were not available when she completed her assessment of Student in fall 2011, and were not included in her report. 43. Student finished the second semester of the 2010-2011 school year with grades of “F” in Algebra I, “C” in Science, “F” in English 8, “F” in Literature, and “D-” in U.S. History. District promoted Student to the ninth grade. 44. Student began the 2011-2012 school year in ninth grade general education classes at Dominguez High School. Student’s academic classes included English 9, Algebra I (for a second time), Health Education, Earth Science, Study Skills and French I. 45. Ms. Carrera continued her psychoeducational assessment of Student in fall 2011. She administered the self-report portion of the BASC to Student, who scored in the range of “at-risk” in attitude to teachers, and inattention/hyperactivity, and “clinically significant” in sensation seeking and hyperactivity. Scores in the “at-risk” range identify problems that may not require formal treatment, but need careful monitoring. Scores in the “clinically significant” range suggest a high level of maladjustment. Ms. Carrera testified that teenagers tend to rate themselves high in sensation seeking, and she did not see Student’s “at-risk” or “clinically significant” scores as important, particularly as Student rated herself average in such positive areas as self-confidence and the ability to maintain friendships. 46. Foster Parent completed a questionnaire from the Devereaux Scales of Mental Disorders (Devereaux) to assess Student’s social/emotional skills. On the Devereaux, an “elevated” score may need follow-up. Foster Parent rated Student as “borderline” in conduct, anxiety, depression, internalizing, and “elevated” in delinquency and externalizing. Ms. Carrera did not follow-up on the “borderline” and “elevated” scores, as she believed “some parents overrate certain behaviors.” Ms. Carrera used the BASC and Devereaux scales to assess Student’s social and emotional skills only, and did not assess Student for an attention disorder. 47. Foster Parent told Ms. Carrera that Student was seeing a counselor, but Ms. Carrera did not inquire as to the reason for counseling, as Ms. Carrera did not think she needed that information. Ms. Carrera also did not ask Ms. Redman why Ms. Redman had requested an assessment of Student for special education eligibility. 48. Ms. Carrera observed Student in the first few days of her French I class, during a video presentation. She found Student engaged, actively participating in the classroom discussion, and raising her hand to answer teacher questions. 49. Ms. Carrera also interviewed Student, who told Ms. Carrera that she could be a better student and could keep up in class, but chose not to do so. Student also told Ms. Carrera that she chose not to do her homework, although Ms. Carrera did not ask Student why she made those choices. 50. Ms. Carrera’s psychoeducational assessment report concluded that Student was not eligible for special education because there was not a severe discrepancy between her “low” and “average” cognitive abilities and her “below average” and “average” academic performance, and that Student’s processing skills were in the “average” range. 51. At hearing, Ms. Carrera testified that it is important for a school psychologist to determine why a student is performing poorly in school, but admitted that she had come to no conclusion as to why Student was performing so poorly. Ms. Carrera admitted that she was aware that ADHD could be a qualifying condition for special education eligibility under the category of other health impairment (OHI), but did not look at whether Student had ADHD, despite S. Walker’s report of Student failing to attend or put forth effort in class, Student’s own “elevated” responses to the BASC in inattention/hyperactivity and hyperactivity, and the classroom behaviors documented in Mr. Cardenas’s report the prior year. Ms. Carreras’s opinion that her assessment was complete in light of the information known to District in spring and fall 2011 was unpersuasive for those reasons. In addition, Ms. Carrera was neither credible nor convincing when she testified that it was not important to follow up in fall 2011 when no teachers had returned the BASC in spring 2011, that she did not need to know why Student was receiving counseling, or that Student’s responses on the BASC self-report section of at-risk and clinically significant behavior could be disregarded as common teenage exaggeration. Her observation of Student in class during a video presentation did not appear designed to provide information on Student’s attention and behavior during classroom instruction, and her testimony that the Student’s spring 2011 CST test scores were not available for her report in September 2011 was unconvincing and contrary to other testimony that CST scores are generally available by August of the year of the test. 52. On September 29, 2011, District convened an IEP team meeting to discuss, per the IEP document, “how student is not eligible for Special Education services.” The meeting was attended by Ms. Redman, Foster Parent, Ms. Carrera, a special education teacher and an administrative designee. 53. At that meeting, Ms. Carrera read her report verbatim, and told the IEP team that Student’s cognitive abilities were commensurate with her academic performance, that test scores did not demonstrate a severe discrepancy or processing disorder, and that Student did not appear to be eligible for special education as a student with SLD. She also concluded that Student did not display behaviors associated with a serious emotional disturbance. Ms. Carrera recommended that Student continue her private counseling, and take advantage of the tutoring teachers offered to students in their classes during lunch or after school. 54. Foster Parent expressed concern about whether Student could obtain passing grades in her French I class, but District members of the IEP team urged Foster Parent to wait until after the first progress report to consider changing Student’s classes. The team found Student not eligible for special education, and Ms. Redman consented to the IEP. 55. A few weeks later, Ms. Redman became concerned about Student’s poor grades, particularly in French I. Ms. Redman visited the school to speak to Student’s French I teacher, Peter Sunnarborg, who did not have any concerns at that time. 56. Mr. Sunnarborg has a bachelor’s degree in French, and holds a clear California credential. He has taught French at District for nine years, and testified at the hearing. Mr. Sunnarborg uses the total physical response storytelling methodology, and teaches 80 percent of the French I class in English. He testified credibly that all of his students generally perform well at the beginning of French I, but have more difficulty as the class progresses. Student did not stand out at the beginning of the year, although she was in the lower performance group in tests, classwork and homework as the semester progressed. Student was earning B’s and C’s on small group communication tasks, which involved preparing and performing a dialogue, although she later often put her head on her desk, and earned no classroom participation points. 57. On December 13, 2011, District held a Student Study Team (SST) meeting, attended by Student, Ms. Redman, Mr. Sunnarborg, the school counselor and the assistant principal. The purpose of the meeting was to discuss Student’s grades and attendance, and Student’s failure to bring her materials to class. 58. In preparation for the SST meeting, Mr. Sunnarborg completed an SST Classroom Modifications Form. Mr. Sunnarborg indicated that he had modified his teaching for Student by repeating directions, circulating around the room, providing visual prompts, frequent review of key concepts, reteaching, and individualized instruction, but noted that “Student refuses my help.” He indicated that he attempted to modify Student’s behavior by reteaching expected behavior, but that Student was uncooperative and immature, had a poor attitude toward school and work, and was disrespectful toward teachers and authority. He wrote that Student “rarely pays attention, when offered help she states that she doesn’t need it, but then states she doesn’t ‘get it’ when confronted about incomplete work or low test scores.” At hearing, Mr. Sunnarborg testified that Student was regularly tardy, regularly talked with friends in class, that he had to remind her daily to put away her cell phone, and that Student had difficulty attending to task and completing her work. He did not recall that Student had a lisp. 59. The SST team discussed Student’s strengths and weaknesses, and strategies that Student could utilize to improve her performance and make better decisions, such as not using her phone or socializing in class. Mr. Sunnarborg volunteered to tutor Student in French at lunch, or after school in his classroom during the French Club meetings. He believed that Student had average abilities, and could perform the work in his class to receive a passing grade. 60. The SST team recommended that Student be placed in reading intervention classes in spring 2012, and take advantage of tutoring offered by Student’s English and Algebra teachers to all students during lunch, after school and by appointment. 61. Student did not avail herself of tutoring opportunities with Mr. Sunnarborg, or any of her teachers, and at the end of her first semester, Student earned grades of “F” in English, “F” in Algebra I, “F” in Health Education, “F” in Earth Science, “pass” in Study Skills, and “F” in French I, for a grade point average of 0.00. 62. In February 2012, for the spring semester, District replaced Student’s Health Education, Study Skills and French I classes, with a Math Intervention and two Reading Intervention classes. 63. Student’s Reading Intervention teacher, Mona Walker, testified at hearing. Ms. Walker has a single subject California credential in English, and has taught reading interventions at District for the past three years. Ms. Walker’s Reading Intervention class contains a mix of 15 to 21 general education and special education students, and utilizes specialized instruction and a computer reading program, “Read 180,” that focuses on reading, spelling and comprehension at each student’s level. Student’s initial score in Read 180 was 405, or “below proficient,” with a score of 1000 representing grade level for ninth grade. After six weeks in the reading class, Student’s score increased to 514, and she comprehended 52 percent of what she read. Ms. Walker opined that Student was performing at a third, fourth or fifth grade level on the various skills needed for reading, such as vocabulary, fluency and comprehension. 64. Ms. Walker described Student as a “typical” reading intervention student, with a short attention span and easily distracted by other students or her cell phone. All of Ms. Walker’s students needed close supervision, but Student had particular difficulty attending to tasks, wanted constant feedback and monitoring, and often left her seat without permission. Ms. Walker had to take away Student’s cell phone almost daily, but she usually had half a dozen cell phones on her desk at the end of each class. However, by the end of the school year, Ms. Walker perceived a change in Student’s focus that she attributed in part to Student maturing as a young lady, and in part to Student buckling down to pass the class, as her students routinely did at the end of the school year to obtain a passing grade. Ms. Walker testified that Student pronounced the letter “s” with a “sh” sound, but that her pronunciation did not interfere with Student’s intelligibility or communication. 65. Ms. Walker opined that two to four hours per week of one-on-one tutoring over a 42-week school year, for a total of 84 to 120 hours, would bring Student to grade level in English if Student were motivated to learn. She explained that the success of tutoring would depend upon Student’s cooperation and the amount of effort Student wanted to put forth. 67. At the end of the 2011-2012 school year, Student received grades of “A-” in Reading Intervention, “B+” in Reading Intervention (second of two classes), “D” in Math Intervention, “F” in Algebra, “F” in English, and “F” in Earth Science. Student took a remedial “credit recovery” Algebra I class in summer 2012 and obtained a grade of C-, District’s offer of FAPE in the July 2, 2012 IEP is not at issue in this proceeding. although Ms. Redman opined that the grade was inflated in light of standardized testing (discussed below) showing that Student had third grade level math skills at that time. 68. The IEE assessor, clinical psychologist Abbe Barron, testified at hearing. Dr. Barron has a bachelor’s degree in psychology, a master’s degree in educational psychology, and a doctorate in clinical psychology. Dr. Barron has worked in California as a licensed psychologist with an emphasis on psychological assessments since 2005, and has performed over 700 assessments for private clients and school districts. Dr. Barron’s education, training and credentials made her well qualified to administer assessments for purposes of determining Student’s special education eligibility. 69. On February 23, 2012, Dr. Barron administered the WISC-IV to Student to test her cognitive abilities. Student’s full scale IQ on the WISC-IV was 75, within the “borderline” range, and 79 on the WISC-IV global assessment index of cognitive function, in the “borderline/low average” range, both of which Dr. Barron concluded were inaccurate measurements of Student’s cognitive ability due to her inability to attend during testing. Dr. Barron also administered a computerized Continuous Performance Test for Attention (IVA+), but the program self-terminated when Student was unable to sustain the necessary concentration to timely respond to test prompts. Dr. Barron stopped her assessment, and recommended that Ms. Redman arrange for Student to be seen by a psychiatrist and evaluated for ADHD and possible medication management. 70. Ms. Redman took Student to a psychiatrist, who requested that Student’s teachers complete the Connor’s Teacher Rating Scale – Revised (Connor’s) questionnaires, which can determine if a person presents with symptoms of ADHD. The psychiatrist warned Ms. Redman that if the Connor’s rating forms were left with the teachers, they would never be completed, and advised her to hand deliver the forms to each teacher and wait while the teachers completed them, which Ms. Redman did in April 2012. Based on the psychiatric assessment, including the Connor’s forms, the psychiatrist diagnosed Student with ADHD, and placed Student on medication to manage Student’s inattention. 71. Ms. Redman, who testified at hearing, is a retired school teacher, with bachelor’s degrees in English and educational psychology and a master’s degree in psychology and education. She formerly worked as a resource teacher, but is not familiar with current special education law. Ms. Redman sees Student each month to drive her to the psychiatrist for ADHD medication. Ms. Redman testified convincingly that she has seen a dramatic improvement in Student’s attitude and confidence since Student has been on attention medication. Ms. Redman was not initially concerned with Student’s speech, but now speculates that Student may be screening words to avoid words with the letter “s” to hide her lisp. 72. On May 9 and 12, 2012, after Student was placed on medication, Dr. Barron administered an extensive battery of standardized tests to measure student’s cognitive ability, academic achievement, processing abilities, behavior and social/emotional skills. 73. Dr. Barron administered the Stanford-Binet-Fifth Edition (SB-5) to test Student’s general level of intellectual functioning after medication. Dr. Barron reported that Student obtained an “average” verbal IQ on the SB-5 of 90 that was stronger than her premedication overall verbal reasoning index score of 81 on the WISC-IV. However, Student’s nonverbal IQ score of 78 on the SB-5 and her perceptual reasoning index score of 77 on Dr. Barron’s earlier administration of the WISC-IV were both in the “borderline” range. Dr. Barron attributed Student’s increased verbal ability score to her increased ability to attend while on medication. 74. Dr. Barron used a variety of tests to measure Student’s academic achievement. On tests of reading skills, Student scored in the “average” range on the K-DEFS Color-Word Interference Task tests (K-DEFS), in the “low average” range on the reading skills subtests of the WJA-III (with the exception of the reading vocabulary subtest, involving retrieval of synonyms, antonyms and analogies in which she scored in the “impaired” range), the Test of Silent Word reading Fluency (TOSWRF) and the reading rate score of the Gray Oral reading Test (GORT-5), and in the “borderline” range on oral reading quotient, reading fluency and comprehension on the GORT-5. 75. In written language skills, Student obtained scores in the “average” range on the WJA-III in the writing samples and writing fluency subtests, and in the “low average” range on the subtest of spelling. 76. Student’s math skills on the WJA-III were in the “borderline” range in math fluency, and in the “impaired range” in the broad math cluster, calculations and applied problems subtests. 77. Dr. Barron tested Student’s attention and information processing skills, noting that Student was able to sustain attention for up to three and a half hours of testing while taking ADHD medication, but continued to respond impulsively and to make careless errors. On a second administration of the IVA+, Student scored in the “average” range for auditory attention, and in the “low average” range for visual attention. However, on the Woodcock Johnson Test of Cognitive Abilities – Processing Speed Index (WJ-COG-III), Student scored in the “impaired” range, and Student’s scores on various auditory and visual processing measures varied from the “superior” to “impaired” range. Dr. Barron noted that Student’s ability to attend to visual tasks and not “drift out” or “tune out” was difficult for her even after medication. Her ability to regulate and respond appropriately was overall in the “low average” range, as Student could not stay on task in order to make coherent, reliable and dependable responses, particularly when switching between auditory and visual tasks. 78. Dr. Barron tested Student’s executive functioning, or higher level thinking, skills with a variety of test instruments, including the IVA+, Tower of London-2, Wisconsin Card Sorting, K-DEFS and the Comprehensive Trail Making Test (CTMT), on which Student scored in the “low average” to “impaired” range, even after medication. 79. Dr. Barron also tested Student’s visual-spatial, visual motor and fine motor functioning. On the Wide Range Assessment of Visual-Motor Abilities (WRAVMA), Student’s overall skills were in the “borderline” range, with a “low average” standard score in the visual-motor task of drawing, and a “borderline/impaired” score in the visual-spatial task of matching. Student also obtained standard scores in the “impaired” range on visual tracking tests of the CTMT and the reproduction of block designs test of the WISC-IV. On tests of fine motor speed (physical manipulation) on the WRAVMA, Student tested in the “superior” and “average” range. 80. Multiple measures were also used to evaluate Student’s social-emotional and behavioral functioning, including observation, responses to the Child Behavior Checklist (CBCL) by Foster Parent and by Ms. Redman, and a Youth Self-Report (YSR) and Beck Youth Inventories-Second Edition (BYI-II) completed by Student. Relevant here, Foster Parent rated Student in the “borderline critical” range for attention problems, Ms. Redman reported Student in the “borderline clinical” for attention deficit/hyperactivity problems, and Student scored herself in the “borderline critical” range for attention deficit/hyperactivity problems. On the YSR, Student rated her school performance as below average in language arts, but average in social studies, math and science, and her scores on the YSR problem scales were in the “normal” range, except for inattention which was in the “clinical” range. On the self-concept scale, an inventory that explores self-perceptions such as competence and self-worth, Student rated herself in the “very superior” range, indicating that she reported no difficulties in how she views herself. 81. Dr. Barron completed her report on May 24, 2012. She concluded that Student’s verbal IQ was in the average range, while her nonverbal IQ, or her overall ability to reason, solve problems, visualize and recall information, was in the “borderline” range, both as measured by the WISC-IV without medication and the SB-5 with medication. She added that Student demonstrated significantly weak skills on tasks involving expressive language, receptive language, listening comprehension and phonemic awareness, and that Student’s distractibility, inattention, lack of patience and impulse control further affected her academic performance. With regard to social/emotional functioning, Dr. Barron concluded that Student’s struggles with multiple undiagnosed learning and attention issues had affected Student’s self-image, and that increased understanding of her learning and social/emotional issues was necessary to help her develop self-confidence. Dr. Barron diagnosed Student with moderate to severe ADHD-predominately inattentive type, mixed receptive-expressive language, phonological, reading and math disorders, and learning disorders in auditory processing, visual scanning and processing speed. 82. Dr. Barron recommended Student be found eligible for special education under the category of OHI on the basis that her poor academic performance was due to her ADHD. She also concluded that Student’s scattered cognitive ability, academic achievement and processing scores should qualify Student for special education under the eligibility category of SLD, although she did not determine whether Student had a severe discrepancy using the statutory definition of SLD. Dr. Barron recommended a large number of special education instruction strategies and services that were necessary for Student to learn. 83. Dr. Barron answered questions readily and thoroughly, and was knowledgeable and persuasive in her testimony on all aspects of psychoeducational assessment. The only aspect of Dr. Barron’s report that was not persuasive was her conclusions about Student’s low self-confidence, which were contradicted by Student’s selfreport of high self-esteem. Her testimony was generally accorded greater weight than that of Mr. Cardenas, Ms. Asadullah and Ms. Carrera, who were each demonstrated to have made scoring errors, included misleading information in their reports, failed to gather important information and/or disregarded important information concerning Student’s abilities and educational performance. 84. Dr. Barron, who is not a speech pathologist, also testified that Student had a lisp that made Student difficult to understand, which testimony was contradicted by all other witnesses. However, Dr. Barron’s speculative opinion when she ventured into the field of speech pathology, and her concern for Student’s clarity of articulation, did not detract from the persuasiveness of her testimony regarding symptoms and manifestations of ADHD, identification of ADHD as a suspected disability, interpretation of standardized ability, achievement and psychological processing measures, and Student’s educational needs. 85. With regard to the June 2010 assessment by Mr. Cardenas, Dr. Barron was critical of Mr. Cardenas’ failure to assess student for an attention disorder, and particularly for ADHD, as a cause of Student’s failure to attend, failure to follow through, difficulty organizing tasks and distractibility. She testified knowledgeably that ADHD is a life-long neurobiological disorder present at birth that affects a child’s ability to sustain attention and perform tasks, and is exacerbated in a classroom with distracting noise and student interaction. Children with ADHD also often have additional disorders such as poor auditory processing, which affects their ability to understand words and process information or instructions from their teachers. Students with ADHD frequently mis-hear information, which affects their comprehension and ability to learn. 86. Dr. Barron testified persuasively that the 2010 teachers’ comments regarding Student’s classroom behavior and social/emotional skills, including that Student was confrontational in the classroom, zoned out, was a “ringleader,” attempted to disrupt her peers and worked best when separated from her peers, and Mr. Reichlin’s BBRS-2 responses with “elevated” concern regarding Student’s attention and impulse control problems, attention deficits, impulsivity, and disruptive behavior, should have signaled to Mr. Cardenas that Student might have ADHD. She explained that such conduct is typical of children with ADHD, who are often thought of as lazy, unable to focus, and clowning around. Dr. Barron testified knowledgeably and persuasively that talking excessively, interrupting peers, making noise, failing to follow directions and initiating conversations at inappropriate times are typical classroom manifestations of ADHD, and that the teacher reports that Student exhibited these behaviors, particularly in light of her poor school performance, should have triggered an assessment for ADHD as a suspected disability by Mr. Cardenas. In general, Dr. Barron also testified persuasively that Student’s inability to do multi-digit addition and subtraction, multiplication, or to comprehend the concept of “one-half” is too extreme to be explained by inconsistent school instruction. 87. As to the June 2011 assessment by District, Dr. Barron was very critical of Ms. Carrera for not using the BASC to determine if Student had problems with attention or hyperactivity, and for completing her assessment without teacher input on the BASC. Dr. Barron testified knowledgeably and persuasively that students do not typically overrate themselves on hyperactivity on the BASC, but may overrate themselves on self-esteem to please adults. She testified that both her experience and published research have found that parents do not necessarily know what is, or is not, normal and tend to give very subjective responses regarding child behavior, and therefore it is important to focus on teacher reports from the classroom to alert the assessor to problems with attention and hyperactivity. Dr. Barron persuasively opined that Student’s self-report of being at risk in inattention/hyperactivity and clinically significant in hyperactivity was very important, and should have triggered further assessment of whether Student had an attention deficit. 88. Dr. Barron also opined that the significant difference between Student’s psychological processing scores in June 2010 and June 2011 (auditory processing: 201075/2011-95; visual processing: 2010-74/2011-83; visual-motor processing: 2010-75/201190) warranted further testing of all Student’s psychological processes. 89. Dr. Barron testified that Student would benefit from compensatory tutoring to address Student’s math deficits, and recommended three hours per week for no less than 12 weeks of intensive one-on-one academic instruction by a credentialed teacher in mathematics. 90. Julie Kastegar testified for Student as an expert speech pathologist. Ms. Kastegar has a bachelor’s degree in speech and hearing science and a master’s of science degree in communication disorders. She has been a California certified speech language pathologist for 14 years, and has a certificate of clinical competence from the American Speech-Language-Hearing Association. She worked as a speech pathologist for public schools in Arizona and California for seven years from 1998-2005, and now provides direct speech therapy services. She assessed Student in the area of articulation on August 1, 2012, for approximately one hour, in preparation for the hearing. 91. Ms. Kastegar administered the Arizona Articulation Proficiency Scale (AAPS) to Student, who made errors on the “s,” “z,” and “sh” sounds. Ms. Kastegar explained that Student pronounces “s,” “z,” and “sh” with a “slushy’” sound due to incorrect tongue placement. This is a lateral lisp, rather than the common developmental lisp in which the “s” is pronounced with a “th” sound. Student’s score for these sounds on the AAPS was 64, or the age equivalent of 4.7 years, the age at which such placement errors are determined unlikely to change without remediation. Nonetheless, Ms. Kastegar rated Student’s speech to be 96 percent intelligible. Ms. Kastegar speculated that someone Student’s age might suffer adverse attention from her lisp, but she did not ask Student about it, and had gotten the impression from Student that Student was socially involved with her peers. 92. Ms. Kastegar recommended that Student be found eligible for special education and related services as a student with speech or language impairment, due to Student’s articulation error. Ms. Kastegar recommended that Student be given one hour of speech therapy per week for 26 weeks “as a start” to addressing Student’s lateral lisp. 5 Student’s complaint references only eligibility for OHI on the basis of ADHD. However, as both parties presented evidence and briefed issues regarding SLD eligibility, and ADHD is a psychological process disorder that may be used to qualify for either OHI or SLD eligibility (Ed. Code, § 56339, subd. (a)), both eligibility categories are analyzed in this Decision. 6 District also contends that Student’s claim is not cognizable under the IDEA because (i) no claim may be brought against a school district for past failure to find a student eligible for special education, (ii) a parent’s consent to an IEP bars later challenge to that IEP, and (iii) the current holder of Student’s educational rights, Ms. Redman, cannot challenge the September 22, 2010 IEP to which the previous holder of educational rights, Mother, consented, because Mother “still agrees with the conclusions reached at the 2010 IEP.” The first contention was raised at the Prehearing Conference (PHC) and decided against the District in the PHC Order. 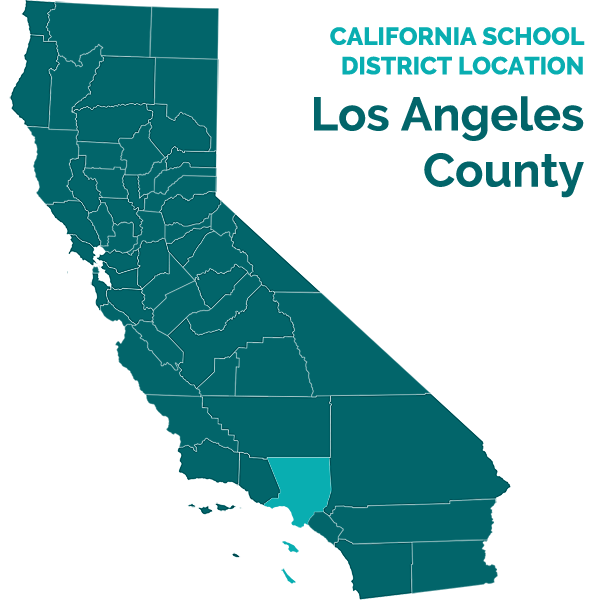 That contention was also raised, and rejected, in Compton Unified School Dist. v. Addison (2010) 598 F.3d 1181, 1184. As to the second and third contentions, whether or not a parent consents to an IEP has no bearing on a school district’s obligations to conduct child find and offer a FAPE, and whether a former holder of Student’s educational rights “agrees” with the timely claims brought by current holder of Student’s educational rights is irrelevant to this proceeding. 18. Student demonstrated by a preponderance of the evidence that District failed to assess Student in all areas of suspected disability in June 2010. District had information in June 2010 that should have prompted assessment of Student for ADHD or other attention disorders as a suspected area of need. Student did not demonstrate by a preponderance of the evidence that District was required to assess Student for speech and language impairment. (Legal Conclusions 19 and 20). 8 In fact, the following month, Student received failing grades in all of her ninth grade classes. 36. As discussed above, Student met her burden of demonstrating that she was denied a FAPE by District’s failure to properly assess her and find her eligible for special education under the OHI eligibility category during the 2010-2011 and 2011-2012 school years. Accordingly, Student is entitled to compensatory education. (Legal Conclusions 1, 4, 8-11, 16, 17, 21-23, 30-32). 1. District shall provide a block of 84 hours of compensatory education in reading remediation to Student, which shall be provided as one-on-one intensive academic instruction by credentialed District staff, to be used by October 1, 2014. 2. District shall provide a block of 36 hours of compensatory education in math remediation to Student, which shall be provided through one-on-one intensive academic instruction by credentialed District staff to be used by October 1, 2014. 3. District is not required to provide these compensatory services through District staff if Student moves outside of the jurisdictional boundaries of District, or if Student cancels or misses scheduled sessions at agreed times for reasons not attributable to District. Pursuant to California Education Code section 56507, subdivision (d), the hearing decision must indicate the extent to which each party has prevailed on each issue heard and decided. Here, Student prevailed on all issues.